Are you looking to decorate your child’s room or nursery with a vibrant, high quality educational map? The Kids Animal Laminated World Map is the perfect decorative piece which is filled with bright colours to promote learning. As the map is laminated, you can teach your child using dry wipe markers and the surface will easily wipe off with no marks left behind. 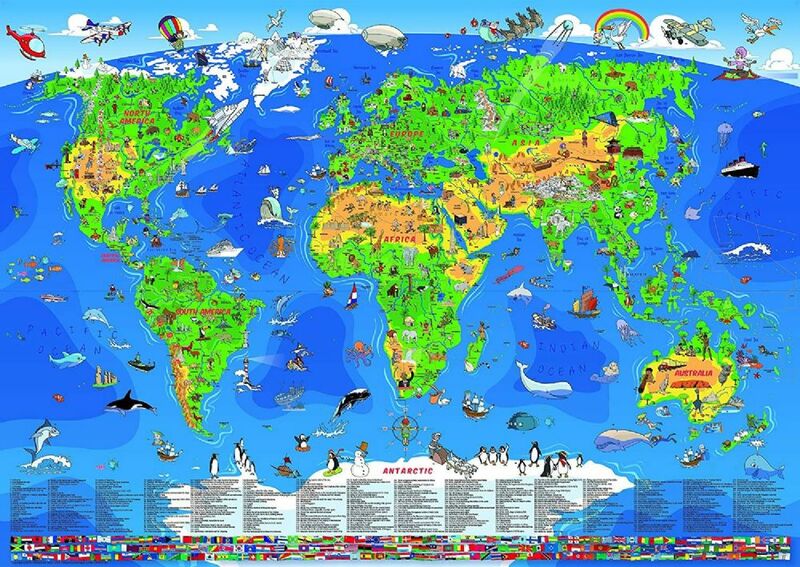 The Kids Animal Laminated World Map has incredible attention to detail, with over 400 colourful hand-drawn illustrations. There are also small pictures of famous landmarks and monuments, animals of the world, significant moments in time (past and present) and so much more information which are all numbered with a key at the bottom of the map to identify each of those images. The quality of the Kids Animal Laminated World Map is outstanding as the map has a matt finish, allowing it to be easy to read in all levels of lighting.